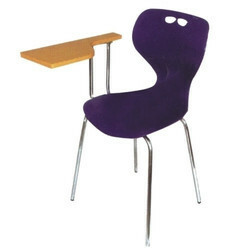 We are a leading Manufacturer of college study chair and college chair from Mumbai, India. Comfortable in nature, offered College Study Chair is perfect in height and width. Best finishing is given to these study chairs to let patrons have best products. Offered products are damage free and light in weight. 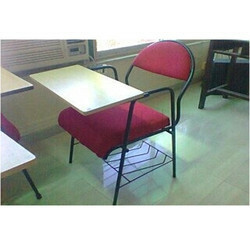 Widely demanded in coaching centers, schools, seminar rooms and many other areas, these chairs are sturdy. Best material is used for the manufacturing of these College Chair of premium quality. These chairs are smoothly finished by experts using best machines. Meeting to utmost desire of patrons, offered chairs are durable and superior in quality. These chairs can tolerate high weight of person.